This is the public profile of LAZARIDIS DIMITRIS, Additional information and high-resolution images are available for accredited press members, to access additional information about LAZARIDIS DIMITRIS please login as a press member. About LAZARIDIS DIMITRIS : Dimitris Lazaridis is a world traveller, seeking inspiration through travel and beauty around the world. He is a design enthusiast trying to give a modern approach to everyday items and graphics. He loves new ideas and evolving designs. His home country, Greece offers him one of the most beautiful ancient sky light providing a constant urge for creation and high aesthetics. 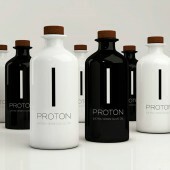 With PROTONS team Dimitris try to make every day count by continuous design & inspire. Press Members: Request an exclusive interview with LAZARIDIS DIMITRIS.